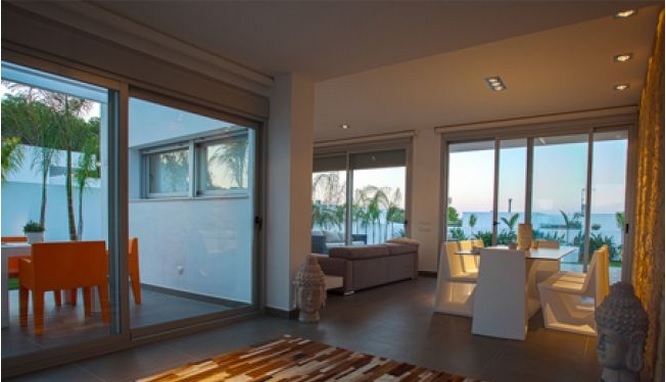 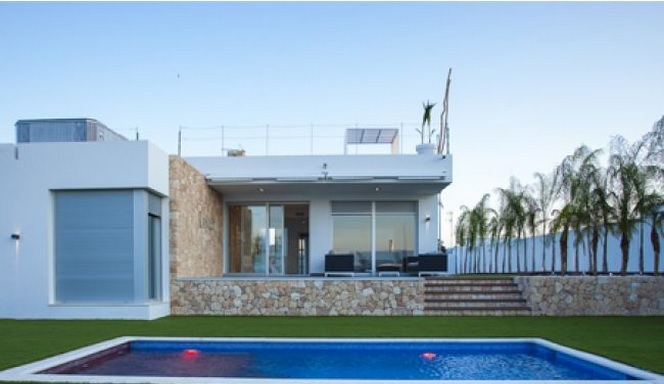 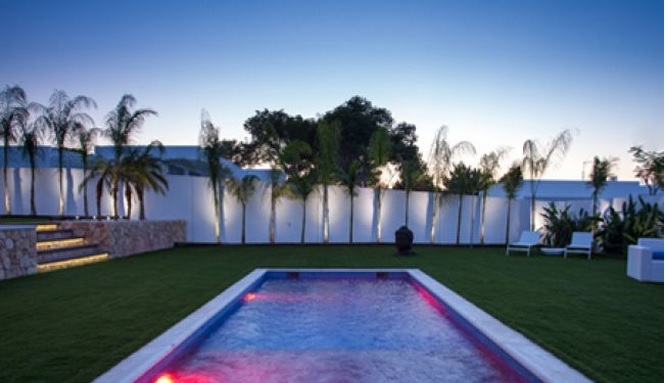 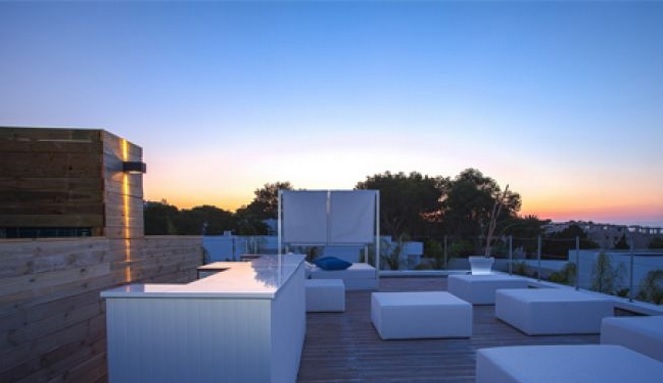 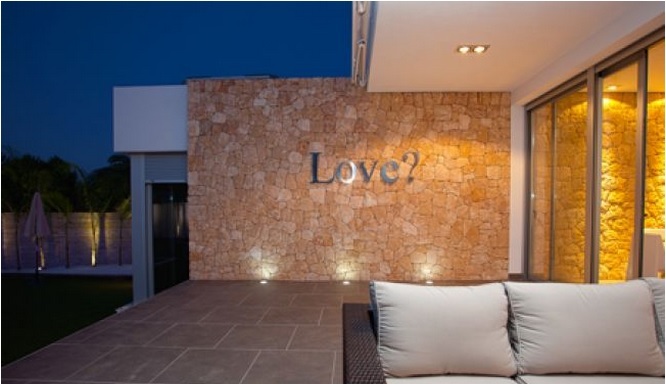 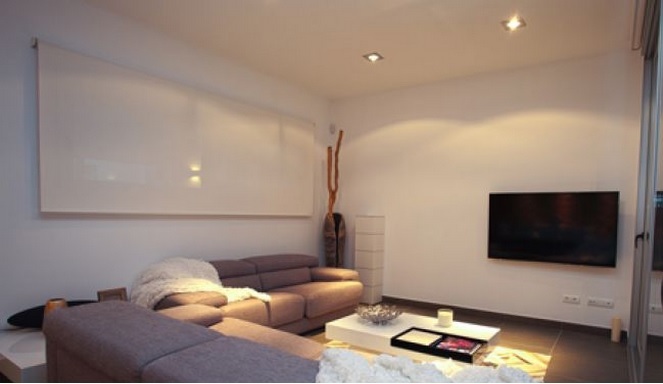 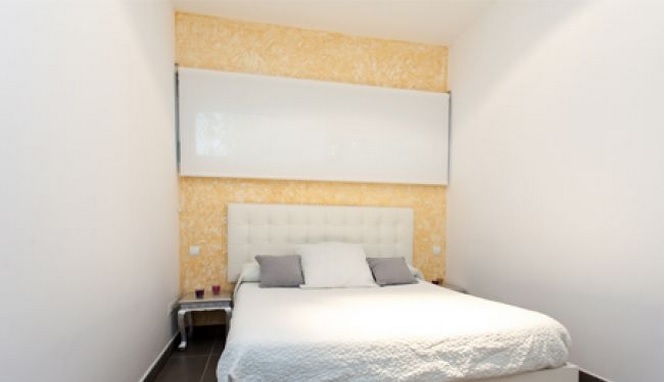 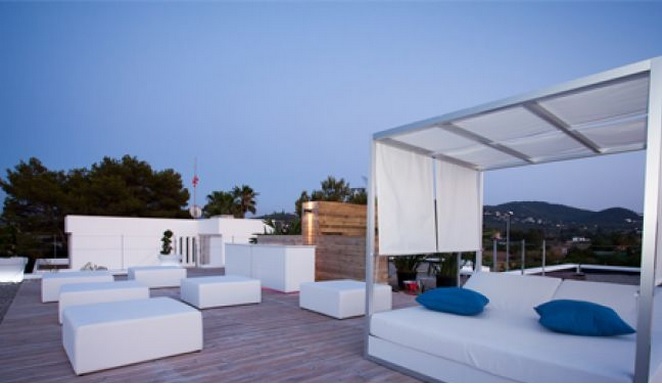 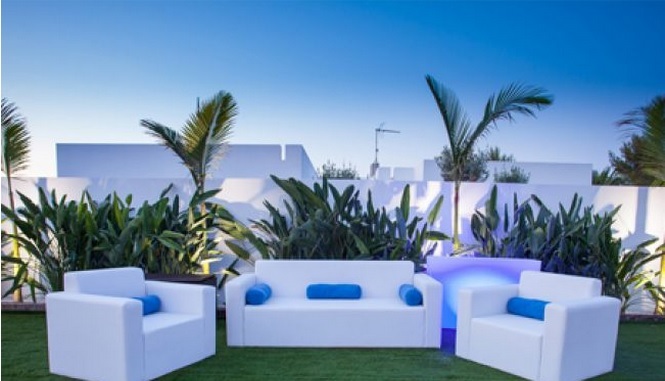 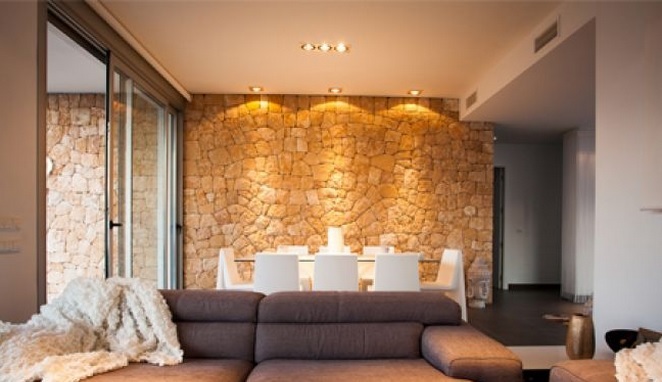 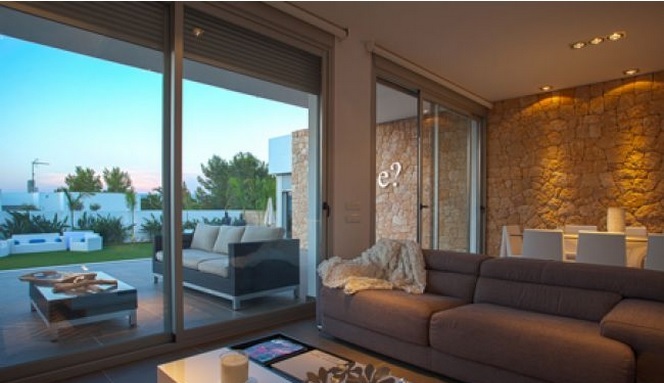 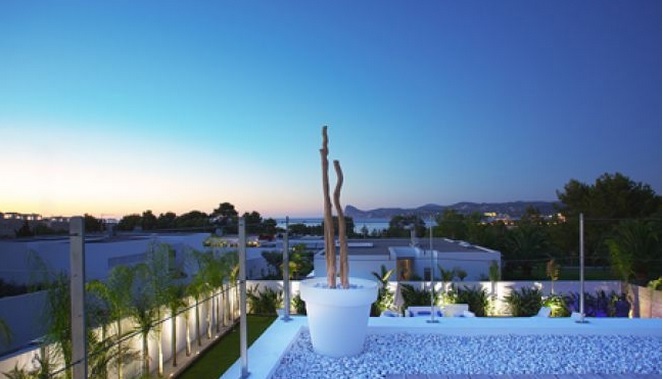 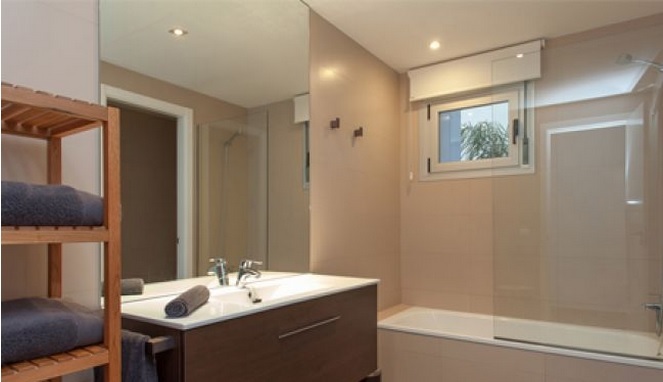 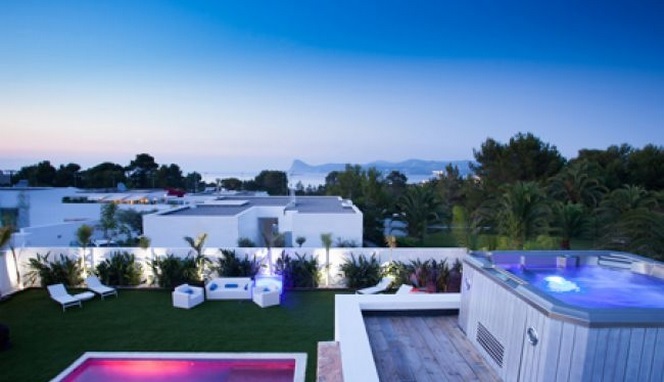 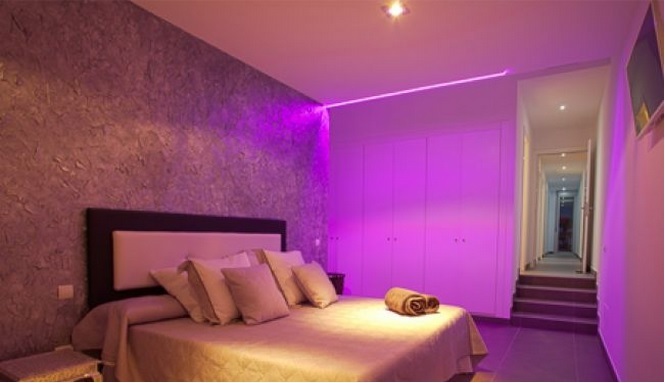 This beautiful modern villa in Ibiza is situated in the north of the island, near the beautiful beach of Cala Bassa. 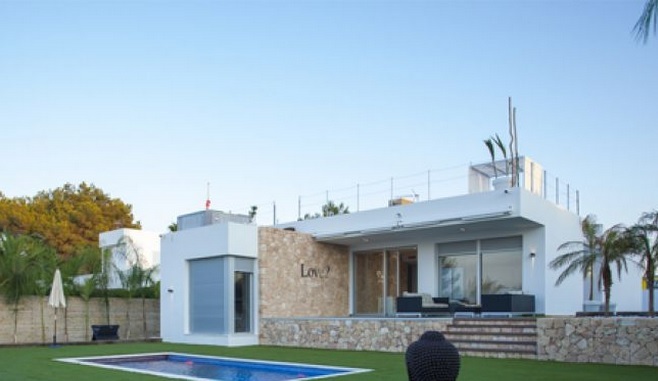 The villa has an internal area of 205 sqm distributed on one level: - Double bedroom with TV and dressing - 2 double rooms with double beds - 1 bedroom with two single beds - Kitchen - Living room with plasma TV - A large terrace with garden furniture - Garden of 815 m2 of green, tropical plants, porch and pool 7x4 meters -Parking covered Upstairs there is a fantastic chillout terrace with Jacuzzi, Balinese bed, bar and sea views. 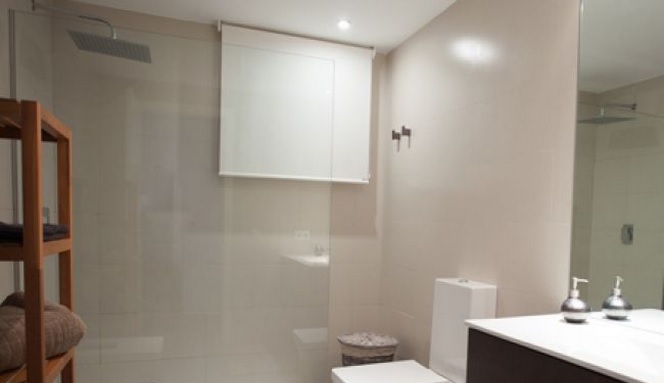 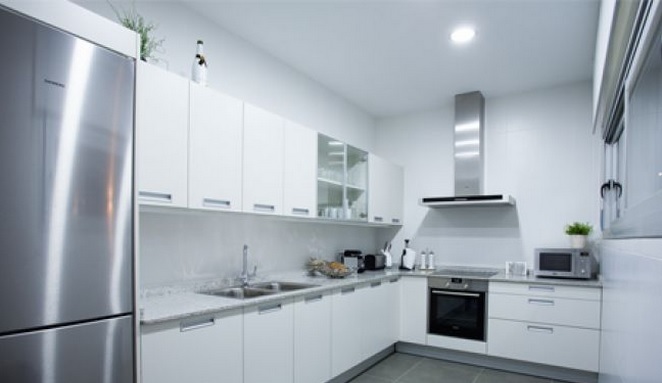 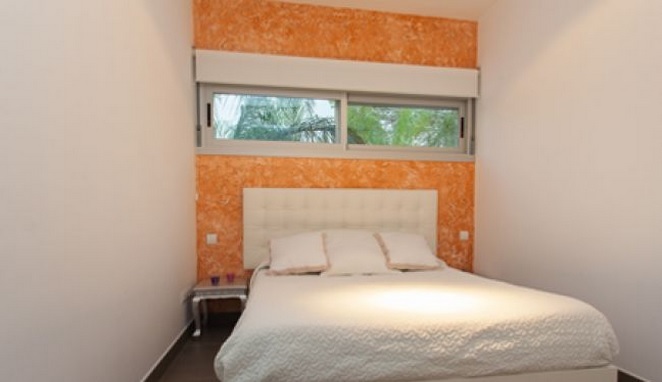 The house has alarm, air conditioning, wi-fi, safe and electric blinds.